A new method to improve the strength and energy storing ability of a specific type of “lithium-rich” cathode materials has been demonstrated by an international group of scientists. They used a carbon dioxide-based gas mixture to produce oxygen vacancies at the surface of the material. According to the researchers, the treatment enhanced the energy density, which is the amount of energy stored per unit mass of the cathode material by up to 30 to 40%. This finding throws light on how change in the composition of oxygen in lithium-rich cathode materials can enhance the performance of the battery, mainly in high-energy applications like electric vehicles. Their results were reported in the July 1 issue of the journal Nature Communications. We’ve uncovered a new mechanism at play in this class of lithium-rich cathode materials. With this study, we want to open a new pathway to explore more battery materials in which we can control oxygen activity. Meng is the head of the Laboratory for Energy Storage and Conversion and is the Director of the Sustainable Power and Energy Center, UC San Diego. A trademark of her team’s research efforts is to comprehend the science of battery materials, right from the level of single atoms and molecules, and also at the borders. Her team is the pioneer in focusing on the condition of the oxygen atoms in battery materials. Usually, the focus is on transition metal atoms and lithium. Now we’re showing that oxygen also plays a significant role in battery performance. As per the current study, Meng’s team collaborated with scientists from the Chinese Academy of Sciences to create a way to initiate oxygen vacancies in a type of cathode materials called lithium-rich layered oxides. These materials have become popular among battery scientists as they can house further energy when compared to other cathode materials. However lithium-rich cathode materials have certain disadvantages. They have slow discharge rates and an issue referred to as voltage fade, characterized by a reduction in cell voltage in every charge-discharge cycle. “We’re presenting a new way to mitigate the issues plaguing lithium-rich cathode materials—through understanding and controlling how oxygen behaves in these materials,” Meng explained. 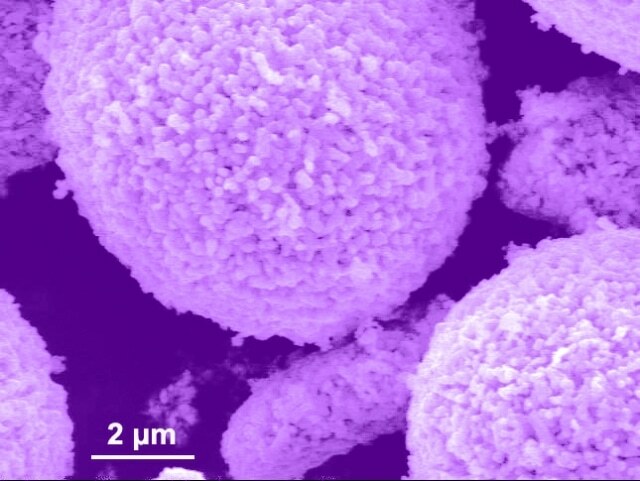 The research group discovered that the lithium-rich cathode particles with a carbon dioxide-based gas mixture produced oxygen vacancies consistently all through the particle surface. The treatment left oxygen vacancies in the first 10 to 20 nanometers without changing the remaining material’s atomic structure. This is a mild treatment that allows us to make controlled changes in the material exactly where we want—near the interface. In electrochemical tests, the treated material displayed a comparatively high discharge capacity (300 milliamp-hours per gram) with minimum voltage loss following 100 charge-discharge cycles. “This is a significant improvement with regards to the voltage fade problem, but there’s still a lot of work left to completely resolve this problem,” Meng said. With the help of characterization studies in association with researchers from Oak Ridge National Laboratory and Brookhaven National Laboratory, scientists gave various reasons why oxygen vacancies enhanced the cathode material’s performance. The researchers suggested that the vacancies permit lithium ions to move about more easily through the cathode, resulting in high discharge capacity and quicker rates of discharge. The vacancies also improve the stability of the material by hindering the highly reactive oxygen radical formation at the surface of the cathode material, which usually degrades the electrolyte whilst the battery is operating. According to researchers, this could signify increased battery life. “We can controllably utilize oxygen activity to improve the performance of the material and better control how it works inside the battery,” said Zhang. Next, scientists will work to scale up the treatment reported. They also plan to carry out additional studies on the activity of oxygen in other materials and how it could be controlled to enhance the performance of the battery. But before we can decide if this is a promising step forward for batteries, we need to probe whether our technology can improve battery performance based on multiple metrics at once, not just whether it improves a single parameter. We need to think of improving battery performance like we’re expanding on a spiderweb with multiple variables.